TOMIOKA, FUKUSHIMA PREF. 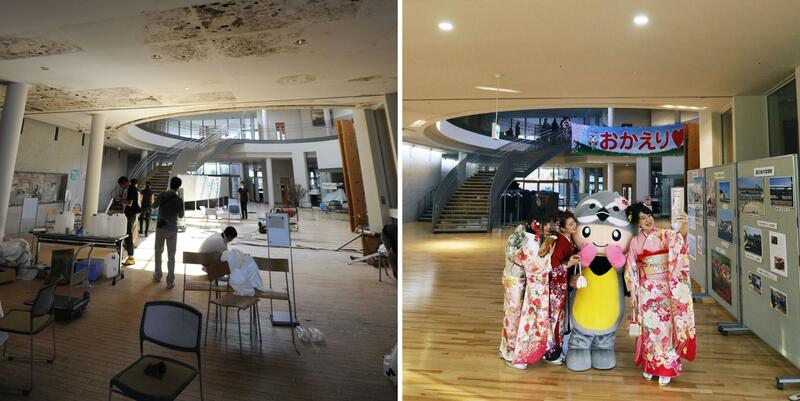 - Seven years have passed since the core meltdowns occurred in March 2011 at the Fukushima No. 1 nuclear power plant, which shocked the world and fractured the local community. During a media tour last month, a hazard map of the crippled nuclear plant was shown to reporters. Colors on the map showed the dramatic progress being made in efforts to recover from the triple meltdown crisis over the past seven years. According to the map, the plant’s compound is mainly designated as “green” zones where workers can walk around only with light work clothes and a disposable mask to cover the mouth and nose. “This is a major achievement” considering the facilities’ radiation levels were so high soon after the nuclear accident that people couldn’t even walk into many areas, said Daisuke Hirose, a spokesman for a Tepco subsidiary in charge of decommissioning, during the press tour. 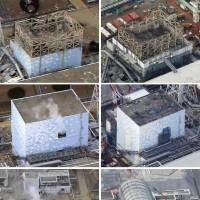 Yet despite largely reduced radiation levels the fear of unfounded rumors still weighs heavily on local people, making Tepco hesitant to answer a key question: How to dispose of ever-increasing volumes of radioactive water now being stored in hundreds of temporary water tanks on the compound? Seven years after the crisis started, Tepco still needs to keep pouring water over the melted nuclear fuel. That water eventually mixes with tons of groundwater that continues to seep into the damaged reactor buildings. To contain the ever-increasing volume of polluted water, 850 tanks have been built in the southwest part of the facility. They contain 1 million of the 1.1 million-ton total capacity, including 850,000 tons of so-called tritiated water. The highly contaminated coolant water that directly contacted the fuel is sent to filtering systems and purified into a mix of water and tritium, a radioactive form of hydrogen that is difficult to separate from water. Tritium, which also exists in the natural environment and is used for glow-in-the-dark lighting, is said to be relatively harmless to human health. Tritiated water is also produced at other nuclear plants as a byproduct of nuclear operations, and it is routinely dumped into the sea after it is diluted. The Nuclear Regulation Authority has long urged Tepco to dump the water into ﻿﻿the sea after diluting it to a density lower than the standards set by law. According to the NRA it is scientifically proven that, when diluted, the water has little impact on fisheries products. 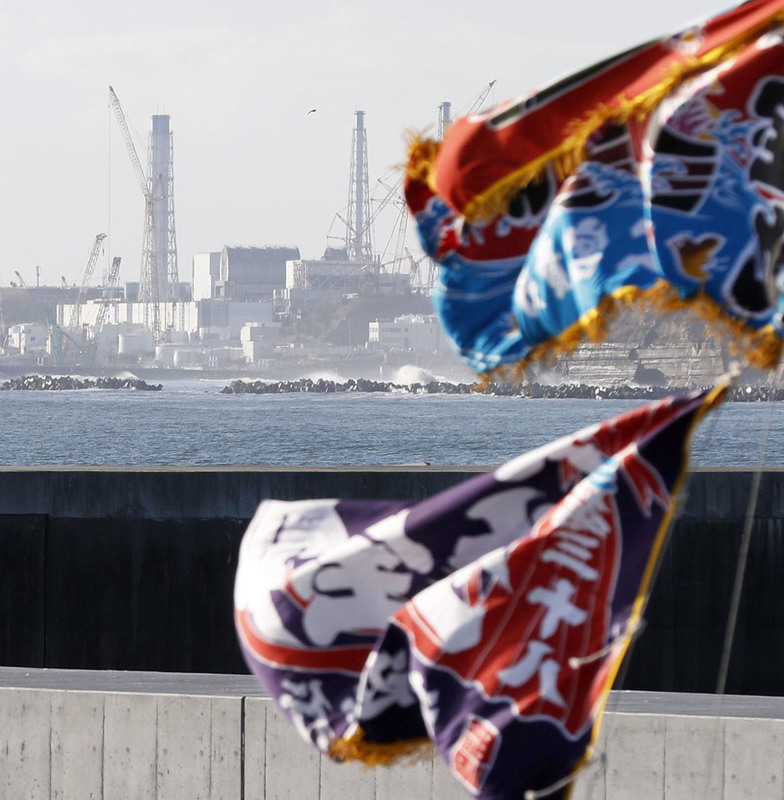 Some local residents — fishermen in particular — fear it could cause groundless rumors of sea pollution and thus oppose the NRA’s recommendation, making it politically impossible for Tepco to discharge the water into the sea. “If most people in general understood that tritium is relatively safe, we wouldn’t have to oppose the idea,” said Tadaaki Sawada, a spokesman for the Fukushima Prefectural Federation of Fisheries Cooperative Associations. 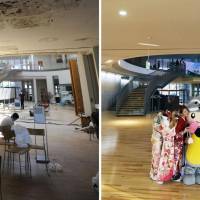 “(But) after all, people would see it as yet another sign that Fukushima’s recovery is not going well and that Fukushima is still dangerous, ” he said. He added that it is the government and Tepco’s responsibility to explain this to the people, rather than passing the buck to local fisheries, if they want to the critical decision to be made. Tepco believes it’s possible to keep the radioactive water in the facility until January 2021. 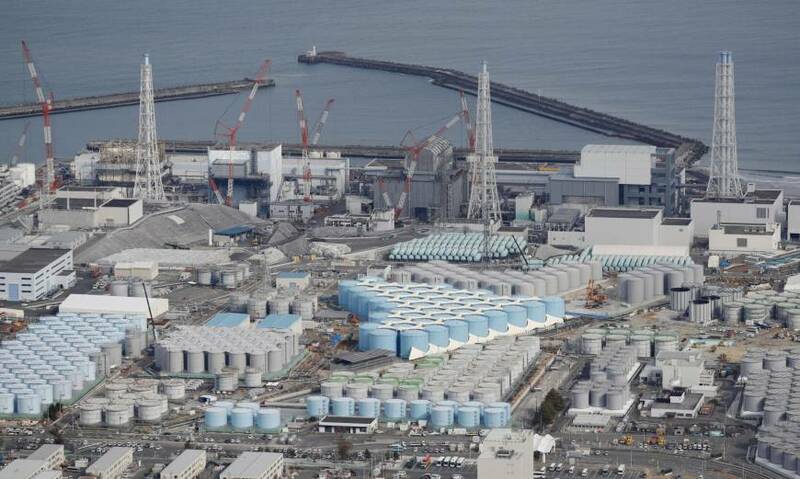 But “it’s not realistic to permanently keep this water” in tanks in the plant’s compound, Hirose of Tepco said. According to the NRA, the average pressurized-water reactor for commercial use in Japan usually dumps 60 trillion becquerels of tritium a year into the sea. But releasing radioactive water and causing further reputational damage may slow the reconstruction efforts of nearby towns, whose recovery efforts have finally begun to make progress after evacuation orders were lifted, Sawada of the fisheries association said. The town of Tomioka is one such Fukushima evacuation zone where the no-go restriction was lifted for some areas last April. Located about 10 kilometers south of Fukushima No. 1, the town famous for its 2.2-km tunnel of cherry blossom trees hasn’t yet recovered its footing. According to the town only 458 people lived in Tomioka as of March 1 — a mere 3 percent of the 15,960 residents that were registered as of March 11, 2011. A Reconstruction Agency survey in December showed 46.8 percent of 3,203 Tomioka respondents said they do not plan to go back to their hometown. While people in the fisheries association understand that tritiated water is relatively harmless to human health as Tepco claims, that doesn’t mean general consumers also feel safe about sea products once radioactive water from the nuclear disaster site is released into the ocean, Sawada said. Since fiscal 2015, no sea products from near Fukushima Prefecture have exceeded the state-set safety limit of radiation levels on food of 100 becquerels per kilogram, according to the Fukushima Prefectural Government. And last month Fukushima-based fishermen finally resumed exports of fisheries products, starting with shipments of flatfish to Thailand, for the first time since the nuclear disaster started. “The speed is slow, but our reconstruction efforts are moving forward. We understand (the tritiated water’s) safety, but we cannot say it’s OK to release the water (from Fukushima No. 1) into the sea,” Sawada said. Groundless fears about radiation may be becoming even more difficult to overcome now after seven years, especially as memories of the disaster are beginning to fade, an expert said. 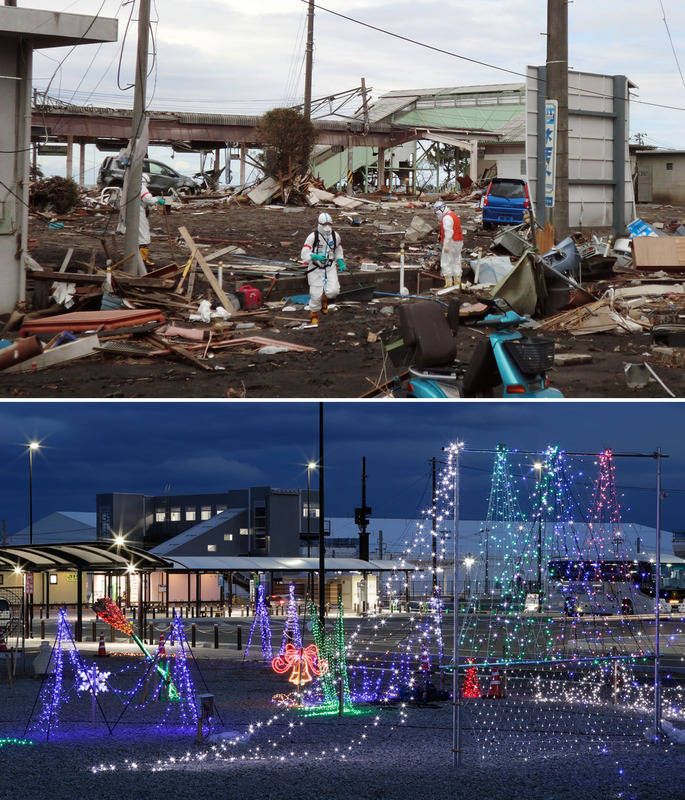 Although recovery efforts are progressing, many people outside the crisis-hit zone tend to fear the risks of radiation based on information from years ago because now fewer people follow up-to-date information about Fukushima’s reconstruction, said Nobuaki Yoshizawa, a research director at Mitsubishi Research Institute Inc. who analyses Fukushima’s reconstruction and public rumors on the nuclear crisis. 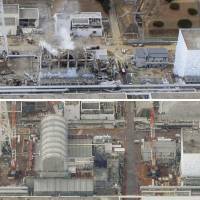 About 47 percent of 1,000 Tokyoites surveyed online by MRI in August indicated they haven’t received information about Fukushima’s reconstruction since the end of 2013, a finding that suggests the perceptions of many are still based on images seen around that time, according to the institute. This contrasts with the 30.5 percent of respondents who said they are still receiving up-to-date information. 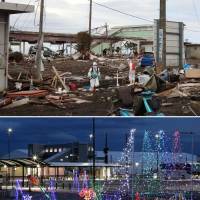 “The important thing is to let people know about current progress and understand that reconstruction is certainly moving forward,” Yoshizawa said. Still, with work to assess the status of melted fuel rods inside the crippled reactor buildings progressing, along with endeavors to reduce risks in the working environment, the decommissioning effort is now ready to move on to the “real” work — removing radioactive materials from the three reactors that experienced core meltdowns, says Tepco’s Hirose. Yet the work still has a long way to go, as Tepco estimates it will take 30 to 40 years to decommission the facility. In January, Tepco for the first time located what seemed to be melted fuel debris at the bottom of the pressure vessel of reactor 2. Another investigation in July found what could be fuel debris hanging like icicles inside the water-filled reactor 3. To identify the current status and location of melted fuel is considered the critical first step for deciding how to remove the debris from the crippled reactors and eventually clean up the site, Hirose said. 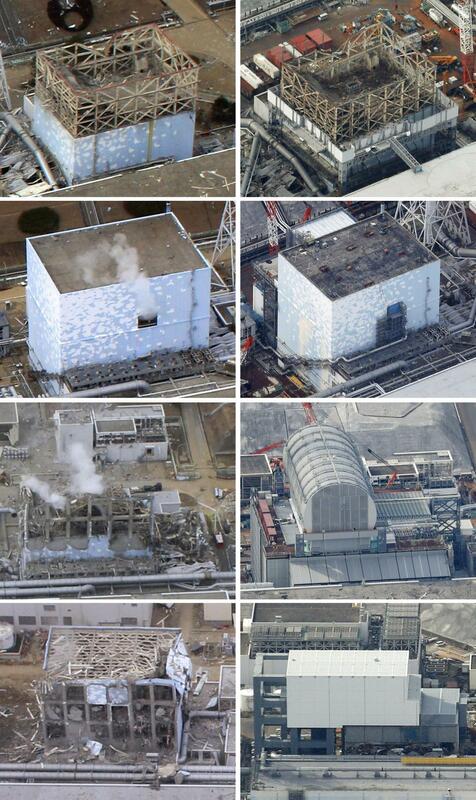 Tepco aims to start removing the melted fuel debris from inside the reactors by around 2021. In addition, Tepco plans to start removing spent and unused nuclear fuel assemblies from a storage pool inside the reactor 3 building as early as the middle of fiscal 2018. The utility aims to remove fuel from the pools of the other two reactor buildings in fiscal 2023. All fuel rod assemblies at the reactor 4 building were removed in December 2014. This is part of a series looking at how the Tohoku region is attempting to rebuild itself seven years after the March 11, 2011, disasters.